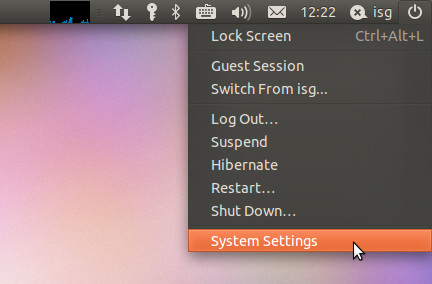 After doing away with the minimize button on windows in the classic Gnome 3 desktop on Ubuntu Natty, the change was apparently reverted but now somebody decided to place a “System Settings” in the “Shutdown” menu (I call it Shutdown menu due to the lack of a better alternative) which is placed in the upper right corner by default. The menu also contains the logout button and more, so “Shutdown” is not completely appropriate. The main point however is that “System Settings” has absolutely NO CONNECTIONS to the other selections in that menu and therefor does not belong there. It’s very ironic that Microsoft has been bashed for years for placing the Shutdown button in the Start menu (although that somehow makes sense as “you start the shutdown process”) but “System Settings”? WTF? I never started or shut down the “System Settings” – the metaphor does not even work linguistically. I’m really curious as to what some Gnome people smoke and whether they’re willing to share that… must be potent stuff. In a bigger sense, I get the impression that the Gnome become more and more alienated from their user base which is sad as Gnome is a really usable, configurable, slim desktop (yes, not as slim as other desktop alternatives but still…). You are currently browsing the Musings From Beyond blog archives for April, 2011.